Smooth drapey satin and clean minimalist lines make a fit that's tailored to flatter. A corset detail in the back adds a directional feel that accentuates your silhouette. This is a decent blazer. Wouldn’t buy at full price. Fits a size larger. 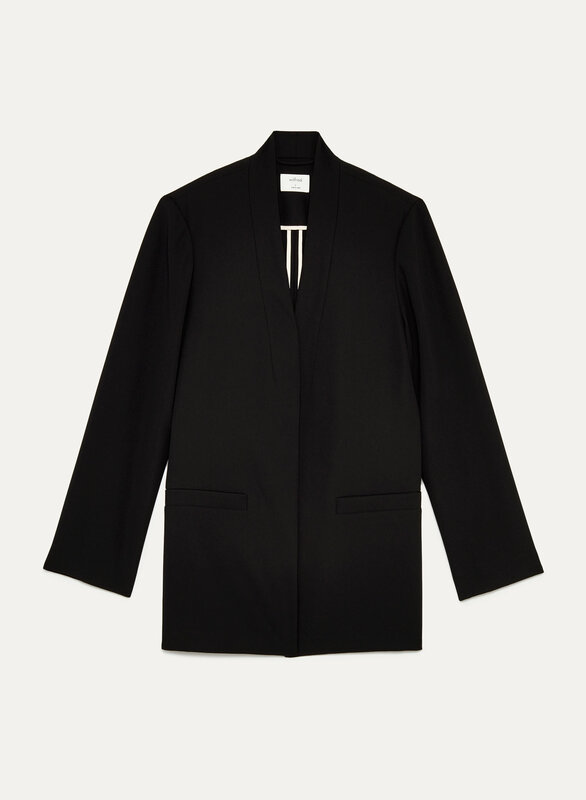 Classic, oversized cut - very versatile. Love that I can wear with a pair of dress pants or jeans. Very versatile but it is pretty heavy. Great if you want to stay warm but not great for layers. Also, because the fabric is so soft the cuffed sleeves don’t stay cuffed. It’s annoying to have to roll them back up every couple hours. I suppose if you don’t like to move it would be perfect. 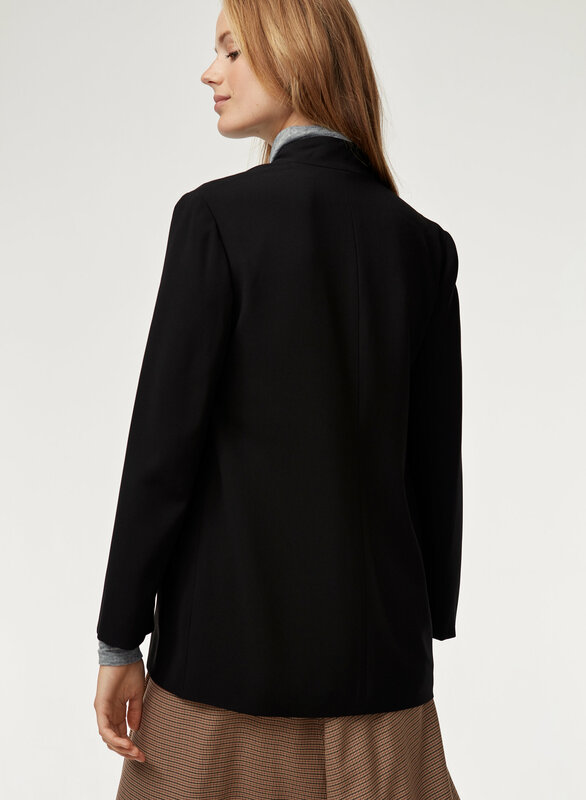 A perfect layering blazer. Saw it on sale and knew it would be a winner. The quality of the blazer is really nice but the length of the blazer itself and of the arms is way too big. I'm normally between a S and a M and ordered this in a small but need to roll up the arms yet they still remain pretty wide that it won't stay rolled up. If you're looking for a loose boyfriend fit this is more your style. Great for the Holiday Season.